Share the post "MSNBC Hysterectomy Unnecessary"
There is a safer, easier alternative to hysterectomy in the treatment of fibroids according to specialist Dr. Bruce McLucas founder of the UCLA- based Fibroid Treatment Collective. Emboliza-tion, a procedure that essentially involves “choking” off the blood supply to the fibroids, is performed by inserting small pellets through the arteries. Unfortunately, according to health reports, “Too many African American and other women of color, do not know about uterine fibroid embolization. Fibroid tumors are benign (non-cancerous) growths. They appear on the muscular wall of the uterus. They range in size from microscopic to masses that fill the entire abdominal cavity. Fibroids consist of dense, fibrous tissue, which are nourished and sustained by a series of blood vessels. Common symptoms include pelvic pain excessive bleeding abdominal swelling, pressure on the bowel or bladder and infertility. 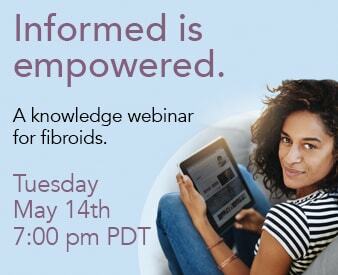 Fibroids affect 40 percent of all women in America and have a high rate of incidence among African Americans. There is a possible link between uterine fibroid tumors and estrogen production, McLucas said. Myomectomy and commonly hysterectomy (removal of the uterus) are common treatments. In fact, removal of the uterus can have several negative side effects. These include: surgically-induced menopause, decreased ovarian function, including the production of progesterone and for premenopausal women, having a complete hysterectomy will result in changes in hormonal balance since the ovaries are no longer able to provide any hormone production. “Most women come to us because they want to keep their uterus,” McLucas said. Uterine fibroid embolization is an outpatient procedure, resulting in less time off work, no blood loss, no risk of hepatitis or AIDS and no scar tissue. And, unlike myomectomy, a procedure that also saves the uterus by surgically removing fibroids, there is no risk of recurrence. For more information visit The FTC Difference or call (800) 645-6095.